Good things come to those who wait. 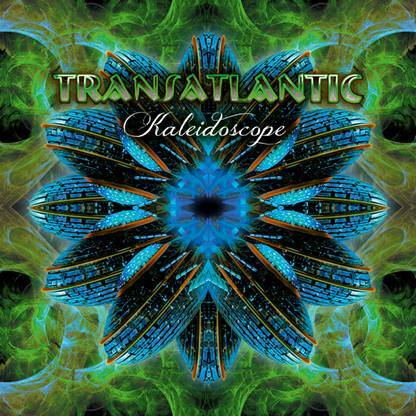 Transatlantic fans are accustomed to playing the waiting game, and their patience has been rewarded with the band’s fourth official studio album, Kaleidoscope. Steeped in vibrant prog rock organics, it’s a triumphant return to the band’s original creative style. The beloved prog rock project featuring Neal Morse (ex-Spock’s Beard), Mike Portnoy (The Winery Dogs, ex-Dream Theater), Roine Stolt (The Flower Kings) and Pete Trewavas (Marillion), Transatlantic’s foundation was built in 1999 with the release of their debut album, SMPT:e, in 2000. A second studio album, Bridge Across Forever, solidified their position as prog’s definitive supergroup. It would be nine years before Transatlantic’s fans were rewarded with a new studio album: 2009’s The Whirlwind, the band’s most popular release to date. Following the subsequent tour, spawning two live DVDs, the band decided to record a new studio album as soon as they could. There are points during the journey through Kaleidoscope where the listener will be reminded of artists like Yes, early Genesis, and even Styx. But in the end, the album is distinctly Transatlantic before it can be compared to anyone else. The band will embark on a six-week world tour January 31 – March 15, with an additional performance at the Sweden Rock festival June 4-7. They will be joined by Pain of Salvation’s Daniel Gildenlöw as a 5th touring member. The tour will include headlining the Progressive Nation At Sea 2014 Cruise,February 18-22, alongside 22 other leading prog acts including Adrian Belew Power Trio, Devin Townsend Project, King’s X, Anathema and Spock’s Beard. The event will also feature a special performance of Yes material by Transatlantic with legendary singer Jon Anderson on vocals. Prog Super-Group Transatlantic Reveal New Studio Album ‘Kaleidoscope’ and 2014 World Tour! Los Angeles, CA – Progressive-rock super-group Transatlantic, featuring Mike Portnoy, Neal Morse, Roine Stolt and Pete Trewavas will release their brand new fourth studio album ‘Kaleidoscope’ on the 27th January 2014. If you thought Transatlantic – Whirld Tour 2010: Live In London was the ultimate TA experience for a live DVD, well you are going to find out different if you pick up this immense 3 CD/2 DVD set More Never Is Enough. Neal Morse (keys, acoustic guitar, vocals), Roine Stolt (guitars, vocals), Pete Trewavas (bass, vocals), Mike Portnoy (drums, vocals) and Daniel Gildenlow (keys, guitars, vocals and percussion) are the band that went on tour and consequently captured some of their best moments on stage at one of their favorite venues in Tilberg, Norway. Transatlantic was in their finest form at these gigs. They climbed the mountain and made it to the absolute peak with this release. As these gods of prog look down upon us mere mortals they planted their flag in the fertile earth of progressive rock, forever leaving their mark upon our senses and souls. No, that is implying something other worldly and being too over the top, this was indeed an epic and beautiful set. This collection serves as a definitive piece of evidence, a literal foundation from which everyone else that creates music like this should endeavor to create and capture for their fans on CD and DVD. It is a treasure trove of archetypical prog rock that you quite simply cannot miss and if you do get it you can then claim to be amongst the prog lovers in the circle of knowing, that collective consciousness in the music universe that we all tap into. If not, as they say over in England, you are a punter. The timing for this release just fuels the fire that is now burning out of control for this prog rock renaissance we have become immersed in. The two DVDs are in the stratosphere on a performance level, and that is at every position in the band. The extended jams are things that dreams are made of and any aspiring musician or enthusiastic prog fan will be salivating while all this takes place before their eyes. And if all that is not enough you can step away from the visual experience and listen to every performance on the 3 CDs. When you listen to some of the runs guitarist Roine Stolt goes on its not hard to see how each member inspires the other to reach for the stars with their given instrument with each composition. And that is exactly what they do consistently throughout these performances. Every band member is so inspired, you can see it, feel it, and hear it each performance. 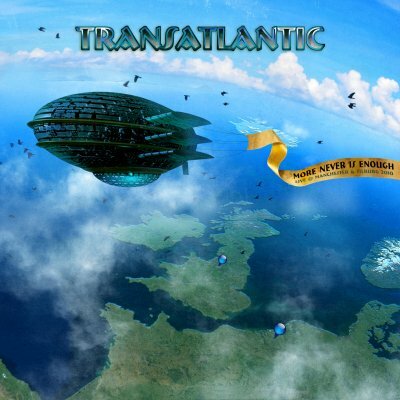 This collaboration called Transatlantic has proved time and again that is it magical and their innate abilities to deliver spot on improvisation is their ace in the hole. Their second encore in Tilberg was the legendary Genesis track “Return Of The Giant Hogweed.” This was the first time the band performed it live (without Steve Hackett) and it turns out very well. In fact, in the intro to the set from Neal Morse he states that the fans at the show were singing all the words and that they are real prog fans. “The Whirlwind” is an epic track custom built for these talented musicians and believe me they take every opportunity to find their own niche in songs like this, to their credit, without stealing the show from anyone else. Their chemistry and brotherhood within the band is clearly on display at all times. There is a bountiful amount of music and concert experiences to enjoy here if you are fan of the band or prog rock. This one is going to be nearly impossible to top but for all us prog rock freaks it is so true, More Never Is Enough.